Meet award-winning Monica Wood, Saturday, April 7, at Friends of Cary’s Book Lover’s Brunch, happening 10 am to noon in the Large Meeting Room of Cary Memorial Library, 1874 Massachusetts Avenue, in Lexington. This annual event is free and open to the community. Seating is limited and advance registration is required. Wood's “The One-in-a-Million Boy” novel won a 2017 Nautilus Award (Gold) and the 2017 fiction prize from the New England Society in the City of New York. Her novel “Any Bitter Thing” was a national bestseller and Book Sense Top Ten pick. Wood's other fiction includes “Ernie’s Ark” and “My Only Story,” a finalist for the Kate Chopin Award. Her writing has appeared in O, The Oprah Magazine, The New York Times, Martha Stewart Living, and many other publications. Brunch registration opens March 1 through Friends of Cary. You may sign up yourself and one (1) guest by calling (781) 862-6288 ext. 84407, emailing friends@carylibrary.org, or by signing up online at the Library Events Calendar, starting March 1. When registering, please provide your name, phone number and email address. Once registered, kindly notify Friends of Cary, if you are unable to attend, to save a seat for someone who is wait-listed. In the last quarter of 2017, sellers pocketed an average $54,000 over what they originally paid for their homes, according to a recent ATTOM Data Solutions report. That's up 0.49% over the previous quarter and nearly 14.6% over the same quarter the previous year. And it's the most sellers have netted, an average 29.7% profit, since the third quarter of 2007. Thank the national housing shortage for those sky-high returns. 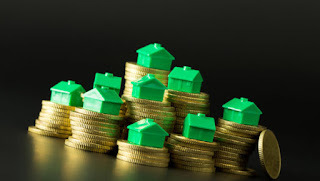 "If you're selling, you're taking advantage of a red-hot housing market with low supply, high demand, and fast-appreciating home prices in many areas," says Daren Blomquist, senior vice president at ATTOM, a real estate information firm. West Coast homeowners did the best. Sellers in Silicon Valley's uber-pricey San Jose, CA, scored the biggest profits, of about 90.9%. That was followed by San Francisco, at 73.3%; Merced, CA, at 64.6%; Seattle, at 64.4%; and Santa Cruz, CA, at 59.8%. "Those are the markets that were more insulated from the downturn, because many of them are highly desirable, on the coast with well-paying jobs. They were the first to recover when things turned around," Blomquist says. But they're not the only ones doing well. "This housing boom started on the coasts, but is spreading to the middle of the country," Blomquist says. That could help to explain why homeowners stayed put for record lengths of time. Those who sold their properties in the last quarter of the year had owned them for about 8.18 years. That's a slight increase from 8.12 years in the previous quarter and 7.78 years a year earlier. It's also the longest homeowner tenure since data began being collected on it in 2000. In a sign of a stronger economy, more buyers are also opting to pay all cash for their residential real estate. These sales made up 29% of single-family home and condo sales in 2017. That's up from 28.7% in 2017. "If you're a buyer in this housing market, it's a full-contact sport," says Blomquist. "The buyers with the most cash often win." Meanwhile, distressed sales (think short sales, bank-owned sales, and foreclosure auction sales) fell to a 10-year low, to make up only about 14% of all single-family home and condo sales. That's a drop from 15.5% a year earlier. "There's fewer people going into foreclosure because if someone does get into trouble or lose their job, they have equity in their home that can provide a cushion," Blomquist says. 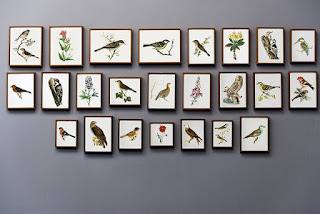 Whether you are staging your Lexington home to sell, or you are decorating the new home you just bought, do you know how to hang wall art and photos properly? This is something you rarely hear discussed, but we’ve all been there, trying to find the perfect place to hang décor before hammering a nail into the wall! As your Lexington real estate agent, I am here to the rescue. I found an article on Apartment Therapy that clears up the confusion. The key rule is to hang art at 57 inches on center. What does this mean? Basically, the center of your wall art should hang at 57 inches from your floor. So to do this, you would measure up from the ground with measuring tape until you reach 57 inches up the wall. Make a small mark on the wall with a pencil. Then you would measure from side to side and top to bottom on your artwork and find the middle. That is what you want to hang at the 57-inch mark. The tricky part is taking into account where the art will actually hang from, such as from a hanging wire or a canvas ledge. You want to take that into account when finding the middle point of the decorative piece. This also applies to groups of pictures. 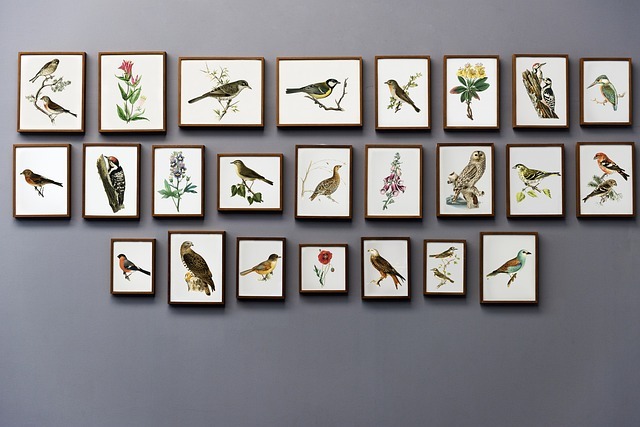 If you have a group or gallery wall, think of the group as one giant picture. Once you determine how you want them to look on the wall, put the center of the entire gallery at the 57-inch mark, and then work out from there. Obviously, this won’t always work, such as if you have high pieces of furniture in the way, or light switches, etc. But this is a great rule of thumb that art galleries use, and it should help you with decorating or staging your Lexington MA home! 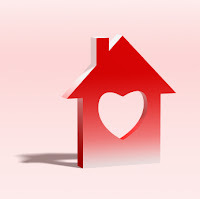 When you are ready to buy a Lexington home, or ready to sell your Lexington home, contact me! As your Lexington real estate agent, I am here and ready to help you with all of your needs this year in the Lexington real estate market! Take the kids down to the farm for a fun baking class! Kids will make their own pizza and then decorate a fun pastry with the help of our Bakery Team! Children will work with our award-winning cut flower team to create a feathered friend out of beautiful flowers. The class includes hands-on tips and each child will leave with their own masterpiece. Join us during February School Vacation Week for a Build Your Own Terrarium class! Spend time crafting your very own nature scene, complete with succulents, mosses, pebbles, and maybe a miniature creature or two! Call 781-862-3900 now to reserve your spot today.